Two decades before the California food revolution, Walt Disney was planning a revolution of his own. Walt knew that food could be more than nourishment - it could be entertaining, too. The concept of families eating and playing at the same time was an innovation in mid-century America. Food in Disneyland wasn't gray or humdrum. It was full of fantasy and color! Eat Like Walt is a culinary tour of the park's six lands. Every attraction has a story, and so do many of the menu items. Disneyland's food transports us as much as it satiates us, or as Walt declared, "The food is as fabulous as the fun, too." From humble beginnings to becoming one of the most famous men on the planet, Walt was more of an everyman than a pampered celebrity when it came to eating. 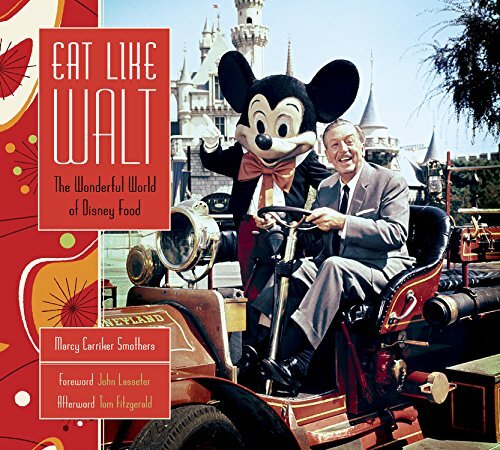 With food as the lens, Walt's private and work life are explored - including recipes from his home, his studio and his Magic Kingdom - ensuring anyone can Eat Like Walt.